Why your kids aren’t watching TV anymore. By now, pretty much everyone has heard of YouTube, the video-sharing web site started by three former PayPal employees in 2005 and then, a year later, sold to Google for $1.65 billion! How popular is the site? Not too much official data has been released by the company itself but the little information that is available is staggering: in January 2008 alone, an estimated 79 million users watched over 3 billion videos on YouTube! So what can you find on YouTube and what makes it so popular? Well, like the Internet itself, the sheer volume, variety and originality of the content is what appeals to its legions of fans and what keeps them coming back. There are an estimated 84 million videos hosted on YouTube, with new arrivals being uploaded at the rate of 65,000 per day. YouTube’s official classifications range from Comedy to Music, from News & Politics to Sport, and virtually everything in between. Although there are video clips of almost anything you can imagine, we emphasize “almost” because there are, thankfully, some rules in play. Rules that give parents some reassurance that their kids will not be subjected to a stream of pornographic, violent or other inappropriate content as they troll the site for entertainment. However, because of the sheer volume of existing videos and new postings, YouTube relies heavily on its users to police the rules for them. Every video has a button that visitors to the site can flag to alert staffers if a particular video violates YouTube’s policies. YouTube will also flag videos with violent or other content that they deem inappropriate for kids under 18 and ask users to register before allowing them to view such videos. The organization and architecture of the YouTube site also gives parents some comfort that inappropriate content can be filtered out. Like the Internet itself, the bad stuff is there if you go looking for it but if you search within strict limits, the worst excesses can be avoided. Note that YouTube itself says that the site is NOT for people under the age of 13. Note also that if your kids see themselves as budding Martin Scorceses, then the usual social networking rules should apply: no personal information should be included in uploaded videos, and no footage that you wouldn’t want the whole world to see! In fact YouTube has recently introduced a privacy feature that can effectively give you control over who sees your videos, a feature that helps it compete with the MySpaces and the Facebooks for personal video-sharing capabilities. See YouTube Safety Tips for all their recommendations. Another interesting fact about YouTube: high definition it’s not! YouTube videos are all in Adobe Flash Video format, although the site has recently added “high quality” options for some professionally produced clips. The low resolution format doesn’t seem to put anybody off. Rather it’s seen by many as one of YouTube’s greatest assets – leveling the playing field and providing an egalitarian paradise for film-makers of any background and skill-set. Whether the footage is shot using the most expensive film-making equipment or a video-equipped cell phone, it all ends up side-by-side, on a one-size-fits-all screen, inviting viewers to praise or condemn at will. Once you understand how YouTube works and what the pitfalls are, you can dive straight in; the range of content is truly remarkable. After just 15 minutes bouncing around the site and checking out some of the “most popular” and “most discussed” offerings, you will immediately understand its appeal to the average teenager. Crazy stunts, undiscovered rock bands, sporting highlights, outrageous behavior, gross-out humor – YouTube has it all! Even though estimates suggest that only 10-15% of YouTube videos are even semi-professionally produced, the percentage seems to be rising and the quality is definitely improving. Alongside the typical college student or aspiring indie film-maker, YouTube is now used by hundreds of companies to promote products, start trends, or just get the word out about some new happening. And that’s the beauty of YouTube. It’s viral marketing at its purest. Once a video starts to get watched and talked about, it can take off and get viewed literally millions of times. Some of the more popular videos are slow burners and have been around for months, others get there in just days. Here are some of the most talked-about videos that have appeared on YouTube in the last couple of years – and some others that will give you a flavor of what YouTube is all about! Reportedly the all-time most-viewed video on YouTube! The Evolution of Dance features Judson Laipply, a motivational speaker and comedian, demonstrating some classic and not-so-classic dance moves to the sound of, among others, Elvis Presley, MC Hammer and Michael Jackson. So how many times has the #1 video been viewed? As of July 2008, a cool 93 million times! A classic Internet phenomenon, the LonelyGirl15 series of videos started appearing on YouTube in June 2006 and quickly attracted a large fan following and media attention. Featuring the supposed musings of a 16 year-old girl called Bree, the videos originally dealt with typical teenage issues – boyfriends, school, parents – but then quickly added some bizarre plot twists. After three months of rampant speculation, Bree was eventually outed as Jessica Rose, a twenty-something graduate of the New York Film Academy. However, LonelyGirl15 videos are still being uploaded and to date the series has attracted over 70 million total views! Shot by tourists at the Kruger National Park in South Africa in September 2004, this astonishing video has been viewed over 35 million times and was eventually turned into an hour-long documentary by the National Geographic Channel. (See the full story at NY Times.com) Not for the young or squeamish but stick with it for the happy ending! A great example of how commercial enterprises are using YouTube to spread the word on new products or offerings – and a great example of the international appeal of the site. Shot on location in Mexico City by Electronic Arts to promote their new soccer video game, the clip was promoted on TV once in the US and once in Europe. After only 5 months, the video has been viewed over 5 million times! A personal favorite, showing just what you can do with a little imagination, some standard video-editing software, incredible patience – and about 3 months of hard work! Another photo-editing nightmare, or triumph, depending on your point of view! Mostly it’s about 8 years of wildly changing hairstyles! Videos of cute animals (and kids!) are everywhere on YouTube. Each day the thousands of uploads include hundreds of clips of Fido or Felix performing some never-seen-before stunt. Little Panda’s sneeze is no stunt – but it has still been viewed over 18 million times. Go figure! 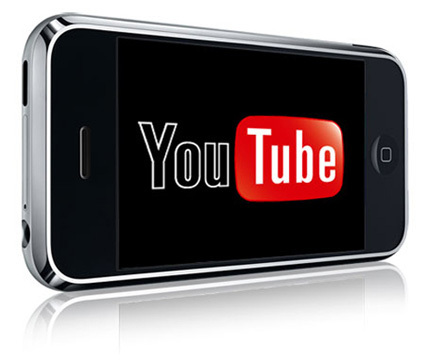 Send us your all-time favorite YouTube clips – or ones that you or your kids have produced. We’ll be happy to share with other Online Moms! Paul O’Reilly has held several senior positions in technology and event marketing companies over the last 15 years and currently resides in Harrison, New York with his wife and 9-year old daughter.